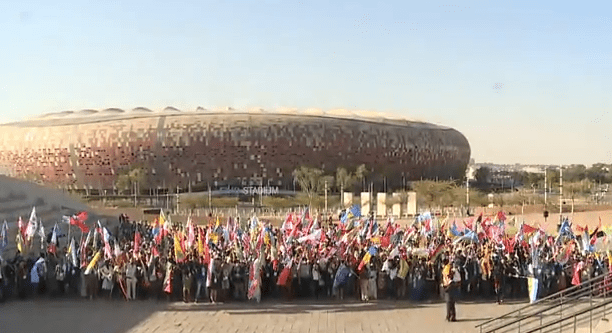 More than 1200 delegates from 190 countries descended on the Soccer City stadium in Johannesburg, South Africa on Oct. 2 for the opening ceremony of the One Young World conference. “Many generations have failed but my generation has failed more than others,” Sir Bob Geldof decried over the dull buzz of vuvuzelas. Just as leaders in both the United States in Italy abruptly abdicated their governing responsibilities, 1300 young leaders from all around the world descended on Johannesburg, South Africa to attend the premiere global youth leadership summit, One Young World (OYW). The summit, at which 190 countries are represented, aims to inspire young leaders to tackle the transnational and intergenerational problems facing the world today. This conference is indicative of a larger leadership development trend in which foundations and corporations are placing more emphasis on youth-driven activities (e.g. the Clinton Global Initiative University or Model United Nations). This summit, which sported the attendance of big names like Richard Branson, Antony Jenkins, Arianna Huffington, Paul Polman and Mohammed Yunus also had in attendance very impressive GenY group of leaders who do everything from run social businesses to trek to the Arctic. 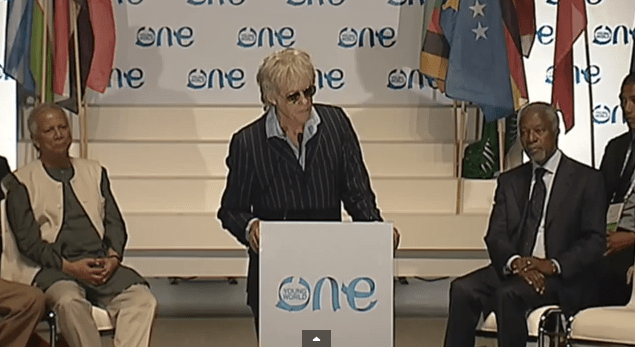 Sir Geldof’s opening speech, which he described as “bloody miserable,” launched into the most pressing problems that humanity is facing today, namely climate change. Citing the Inter-governmental Panel on Climate Change’s (IPCC) most recent report, Sir Geldof stressed that it is GenY that must do something—and quickly—if we hope to overcome the fallout from our predecessor’s mistakes. But this got me thinking. Aren’t SAIS students the perfect candidates to help address these issues? From Conflict Management to Energy, Resources and the Environment, our concentrations cover every major transnational and intergenerational issue that we will have to overcome (or succumb to) in the next few decades. Better yet, the composition of our student body and our presence on three continents allows us to have a huge impact within our own SAIS network. It is for this reason that I have decided to launch this blog series entitled “Competition for Cooperation: GenYs Guide to Saving the World.” I will use the One Young World plenary sessions’ framework and the OYW’s leader’s speeches to guide SAIS students to explore over the course of the year the possibilities of making the world a better, more sustainable place. Sir Geldof continued: “the ordinary trouble of ordinary days don’t seem to matter much, we are in an existential period of our short human history… get on with it!” Join me on this journey to find meaning and purpose in our careers and explore the impact we can truly have together. I was able to attend this amazing summit because of generous support from the Office of Student Life at Johns Hopkins University in Baltimore, Md.